Blue Bicycles used to be seen at the front of top-level cyclocross races, thanks in large part due to Jonathan Page’s success during his days as a Blue and Enve Composites-sponsored racer. 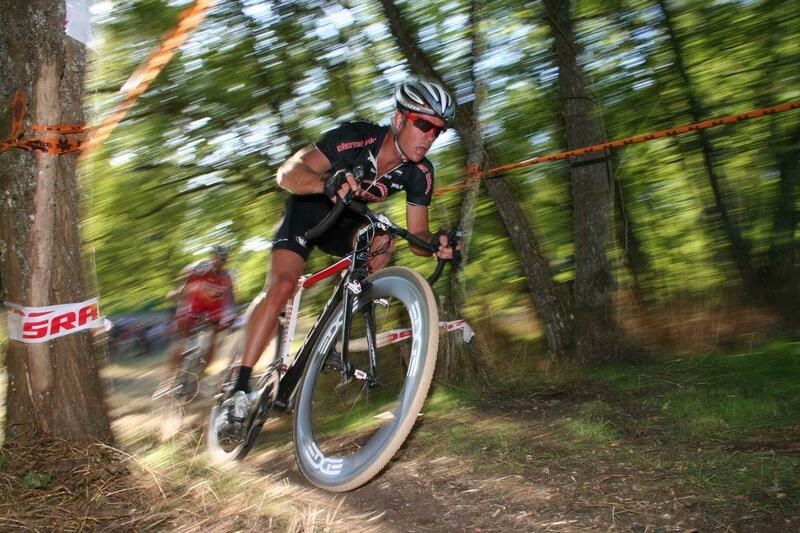 We’ve profiled Page’s Blue Norcross several times, and the three-time National Champion even won his last championship in 2012 in Verona, Wisconsin on a Blue Norcross SL carbon cyclocross bike, although it was masked at the time after Blue’s sponsorship ended with the calendar year. The company has since changed ownership after some financial struggles, but it’s now back, reloaded and recharged, and many of its bikes are redesigned. 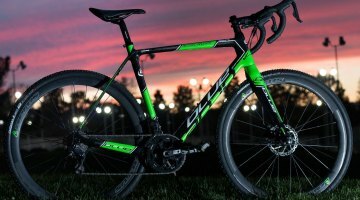 Cyclocross Magazine received one of the first new Blue cyclocross bikes to roll off the assembly line, and the new iteration of the company has the cyclocross masses, gravel riders and commuters squarely in its sights—not the UCI racer—with its newest $1650 SRAM Apex-equipped Norcross AL model. Blue has made several updates to its aluminum Norcross frameset compared to previous generations, and in general, we think they’re positive changes. 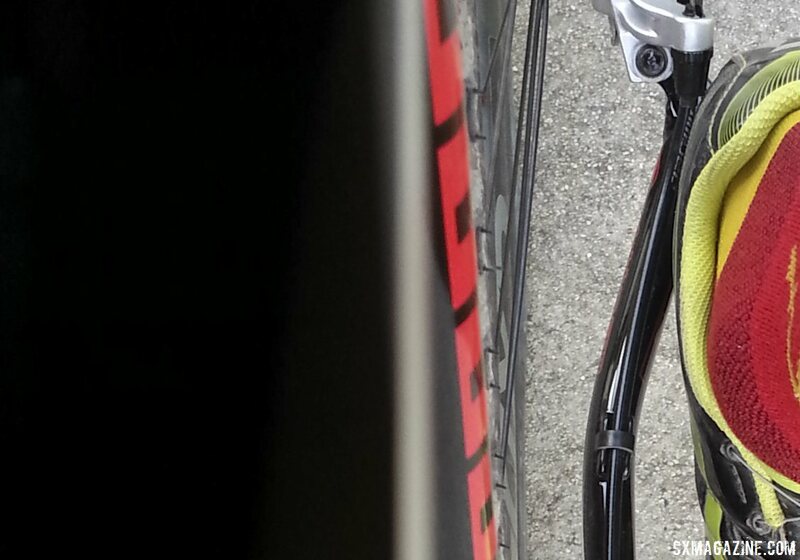 First, the bottom bracket was lowered from a 6cm drop to a 6.5cm drop, a nice change for today’s fast, toe clip-less racing (and the same drop found on the now-higher Focus Mares that Jerermy Powers will be riding). Up front, Blue Bicycles moves to a new tapered steerer disc fork, going from 1-1/8″ to 1-1/2″, and it features massive tire and mud clearance. 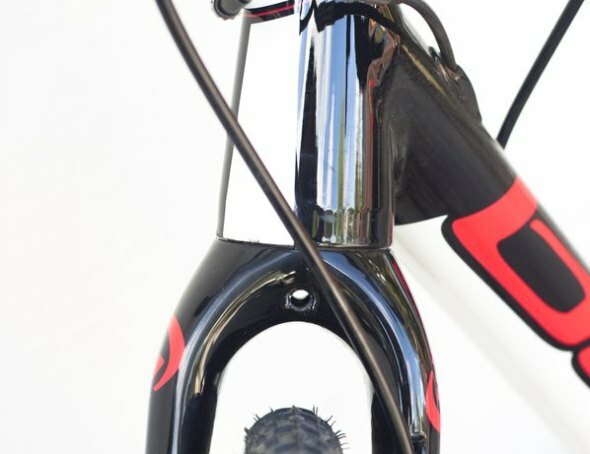 Head tubes have been shortened a bit, by .5cm (now 15.5cm on our 56cm frame), but still remain 1.5cm longer than the carbon Norcross frames from previous years. While Blue reports that the top tubes were shortened a bit on the new aluminum Norcross frame, it’s not quite that simple. Based on the effective top tubes in listed geometries, they are .5cm shorter on the three smallest models (compared to the previous aluminum frame) but the same on the three largest models. 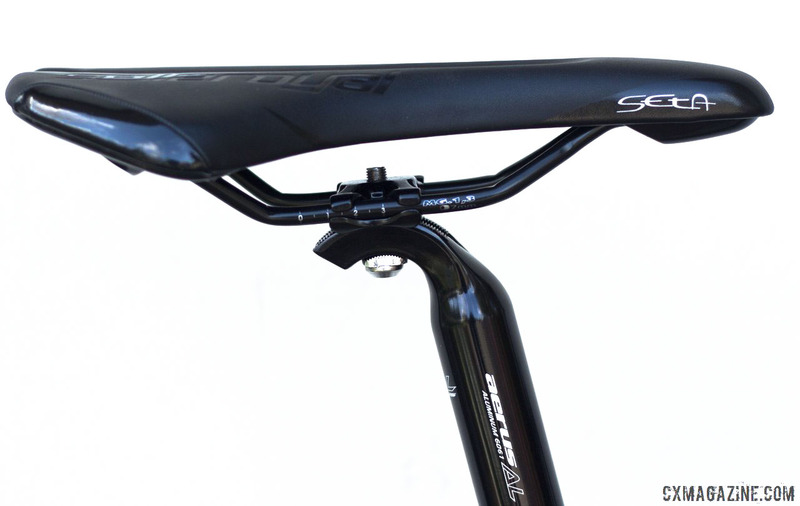 However, the three smallest models also have a steeper seat angle, making the actual reach, when positioning your saddle relative to the bottom bracket and crank, to within 1mm of the reach on the previous frames. 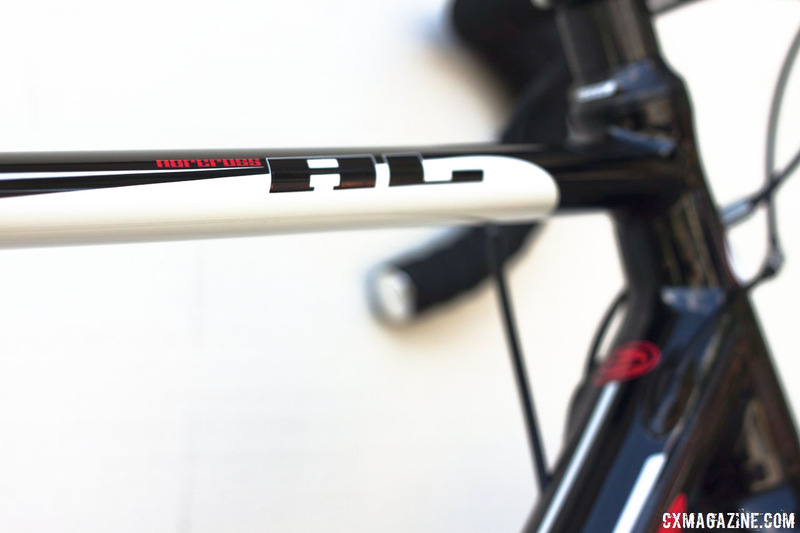 All but the largest frames get a slightly shorter seat tube as well. See the new geometries in our slideshow at the bottom of this post. 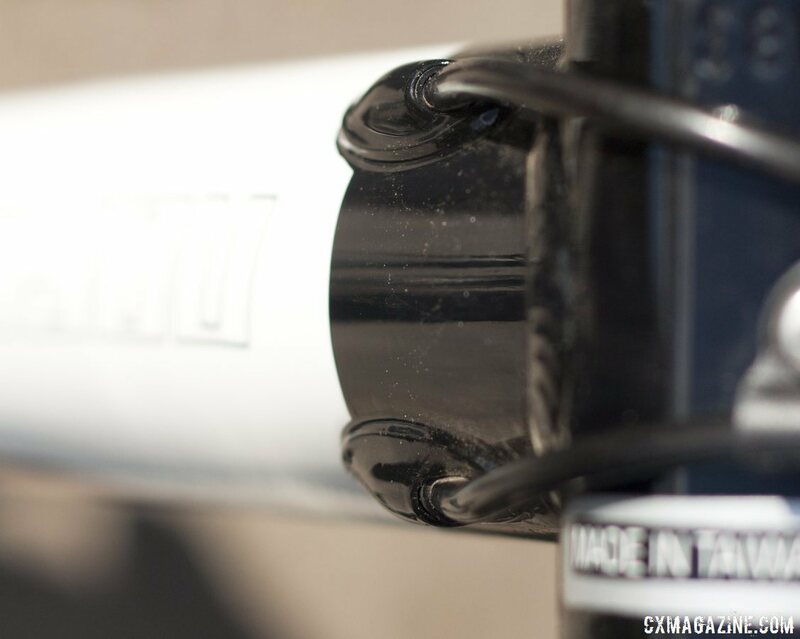 The company also moved to internal cable routing, running the shift cable hosing through the downtube and out just before the bottom bracket. It’s a nice, clean look. For this new model, Blue really focused building a versatile bike, and the Norcross AL features a full set of rack and fender mount eyelets on the frame (not fork), and offers world-class fat tire or mud clearance on a 68mm wide bottom bracket shell. 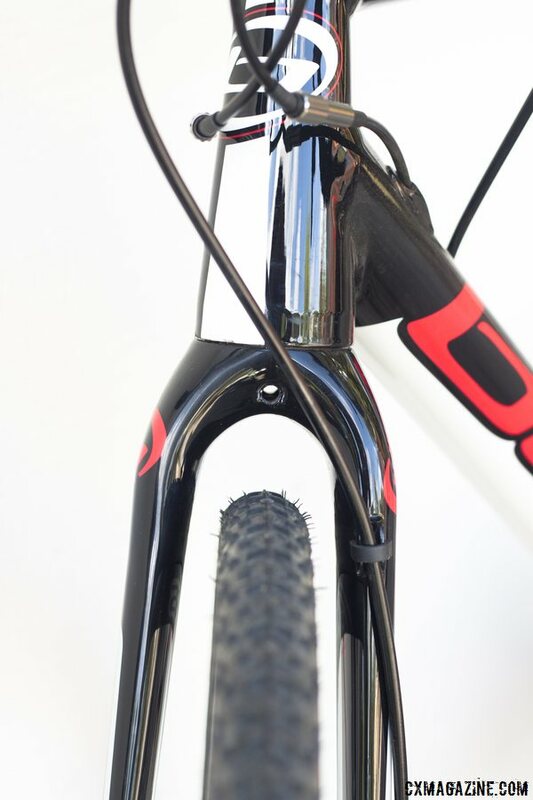 Up front, the new disc fork offers similar clearance, making for a bike that can easily be converted to monster cross or gravel grinder mode, complete with 40c or wider rubber. 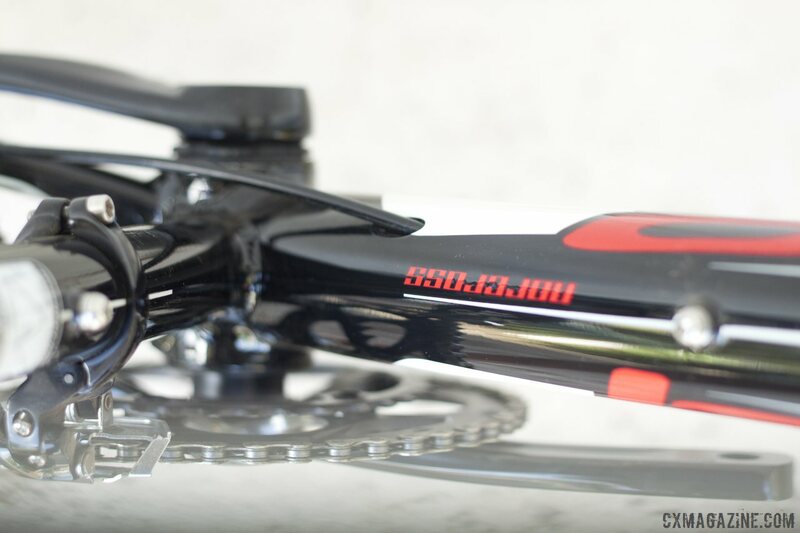 The SRAM S350 compact crankset is another nod towards versatility over pure cyclocross racing, with 48/34t chainrings that are better suited for gravel and commuting rather than just racing cyclocross, but are more useful for cyclocross racing than the more common 50/34t compact crankset. 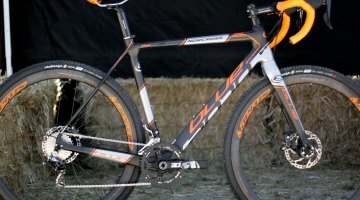 SRAM Apex? Close your eyes and shift and you’d be hard pressed to tell the difference between it and Rival, if not an even higher-end group. It works well, and is affordable to replace should you take the inevitable digger during the race season. 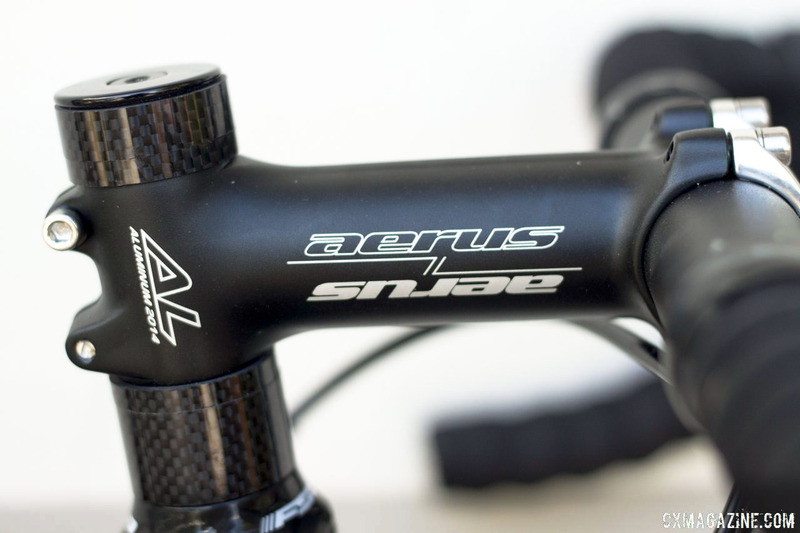 The Aerus handlebar and stem look like older Ritchey bits, and function fine and keep the costs down. 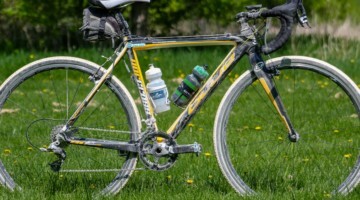 The build is functional and value-oriented, and does its job well, but we of course have a few nitpicks with the bike. 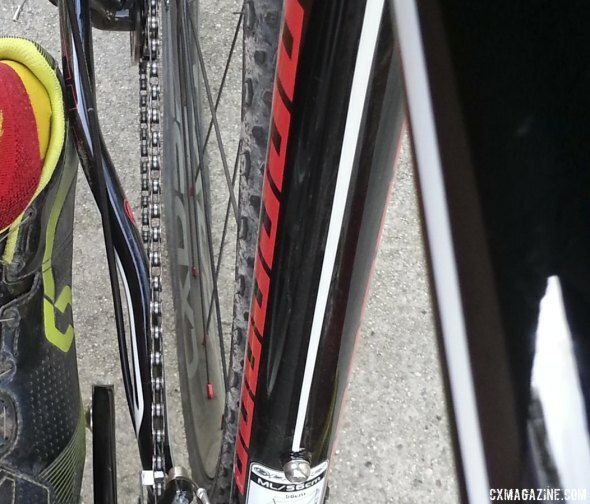 First, and perhaps the biggest for guys with big feet, is that guys with large feet and a narrow stance will bang their heels, especially the right one, on the flared chainstays. The right chainstay flares out a bit more than the left one, and one test rider’s size 12 right foot routinely hit the chainstays and the left occasionally did as well. 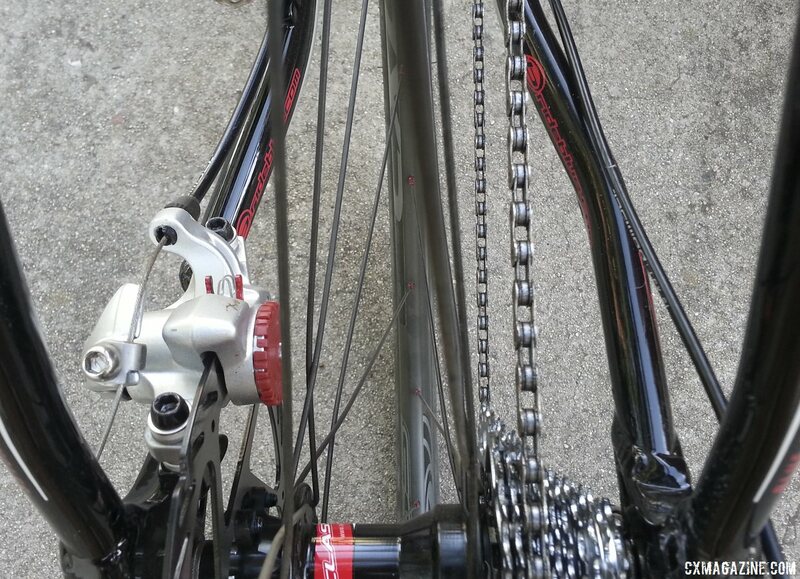 Moving the cleat inwards could have helped, but it’s less than ideal to adjust a pedaling position for a frame. The right chainstay flares out more than the left and caught one tester’s size 12 foot. 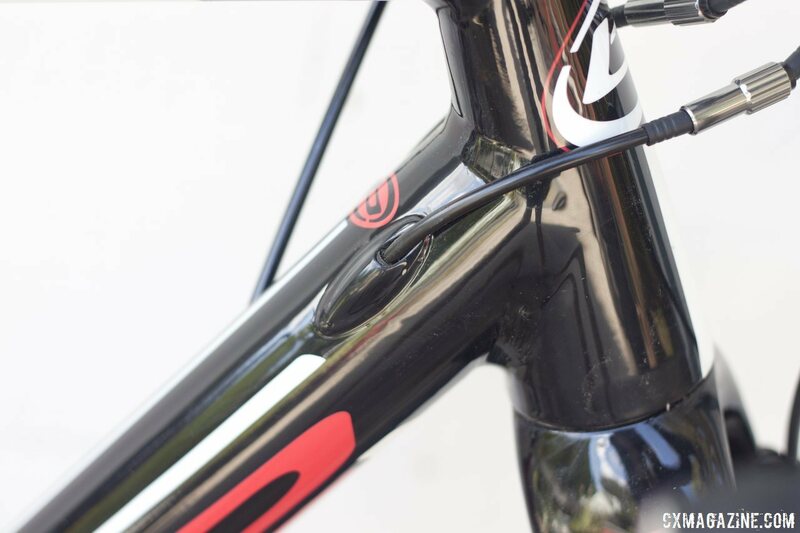 Second, because we’ve never met a one-bolt seatpost we like for cyclocross, the Aerus AL seatpost, with its notched angle adjustments, is something we’d swap out in favor of a two-bolt post to ensure a rock-solid angle hold, even after a clumsy remount. We have not experienced angle slip on this post yet, but we haven’t put a cyclocross race’s worth of remounts on it yet. We also think the 32c Vittoria XG II tires are too narrow for all but the lightest riders. Wider rubber would add comfort, speed and pinch flat resistance to anyone venturing off-road. Lastly, the Avid BB5 brakes work fine, but had us wishing for the dual pad adjustments of the higher-end BB7 brake, and we think the better brake would be worth a few extra bucks. 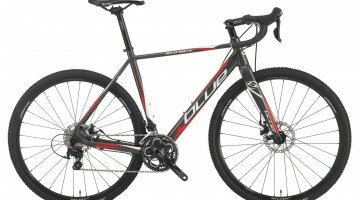 We’ve put the Blue Bicycles Norcross AL cyclocross bike through a few gravel and cyclocross rides, and look forward to a bunch more. Initial rides validate the geometry changes (mainly the lower bottom bracket) Blue has made, creating a stable, versatile ride that does well on the trail, cyclocross course, or gravel road. At over 22 pounds, it’s quite a heavy bike, but within the range of most sub $2k bikes, and it rides lighter than we expected. 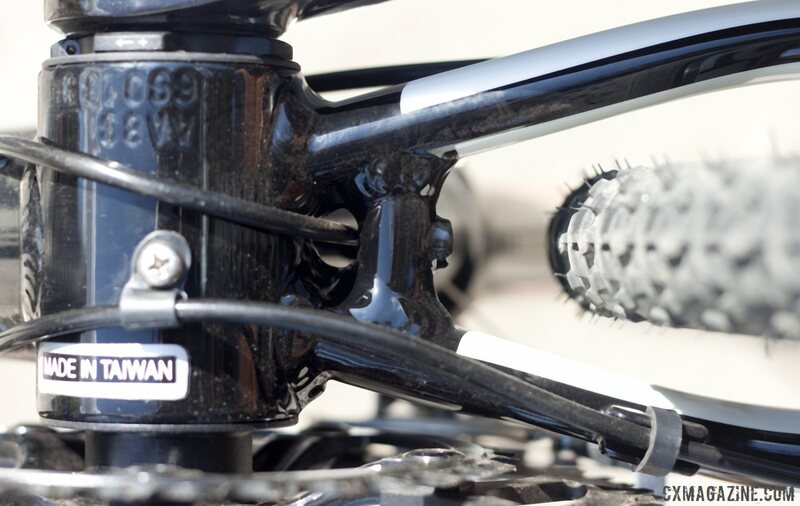 The gearing, with the 48/34 chainrings and 11-26t cassette proved quite versatile for trail riding, road riding, and off-season cyclocross riding. 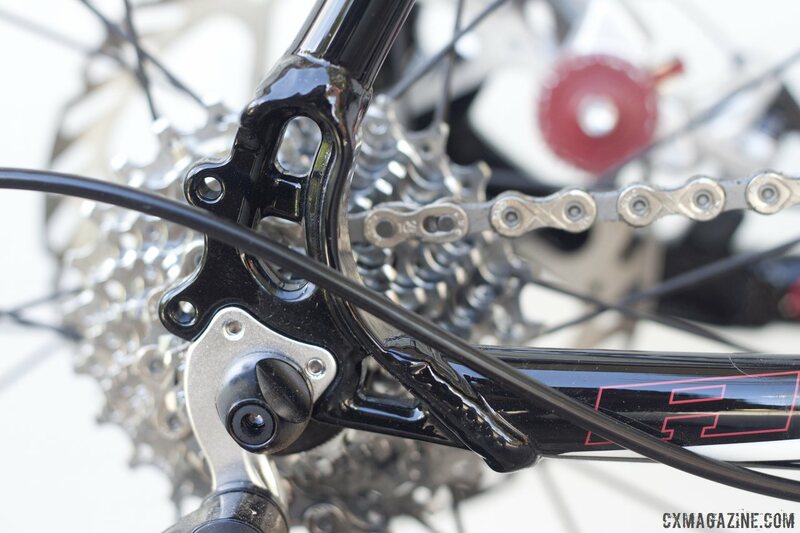 Both the shifting and braking have performed well and functioned as well as higher-end components. We’re planning a few more adventures and hard rides to put the Norcross AL to the test. Stay tuned for our full review. 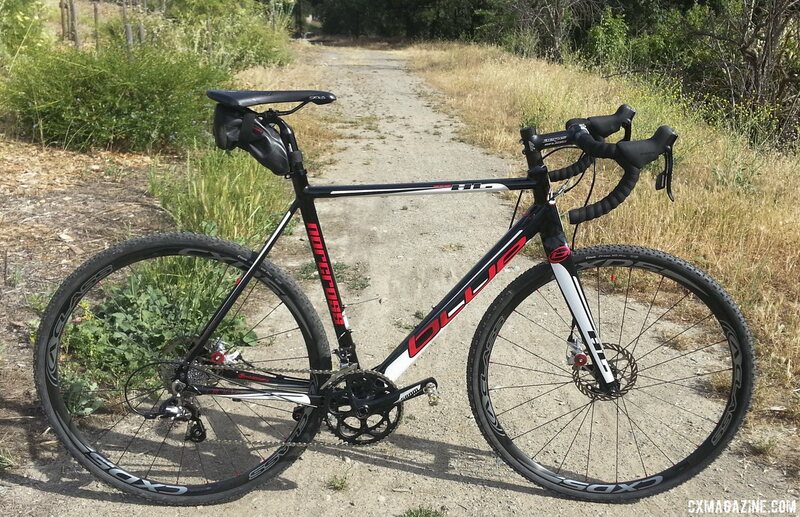 Blue is back for 2015 and offers its versatile Norcross AL bike. 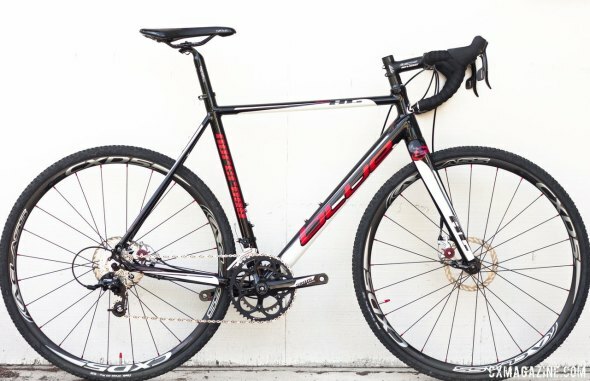 Compact gearing, fender and rack mounts, and mud clearance. Want a rack and fender? Gobs of clearance, for fat tires or gobs of mud. Blue is back, bigger than ever. Aerus cockpit is functional and keeps costs down. 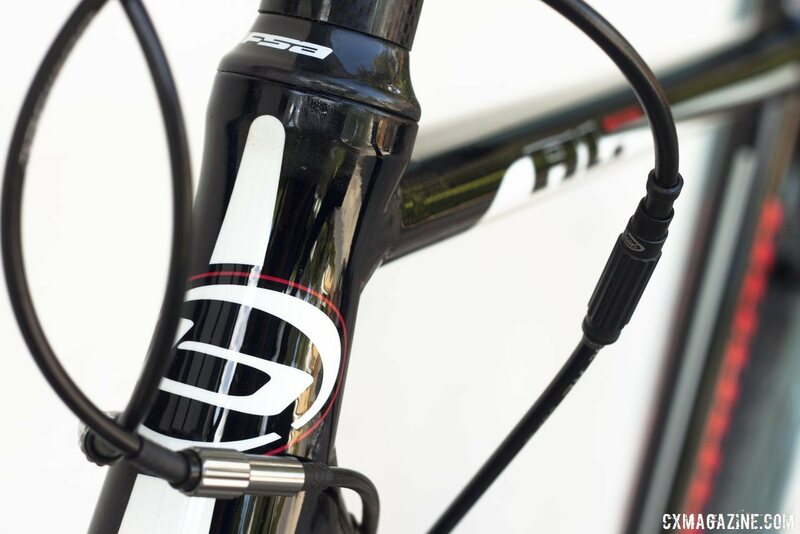 Both shift cables exit the downtube. 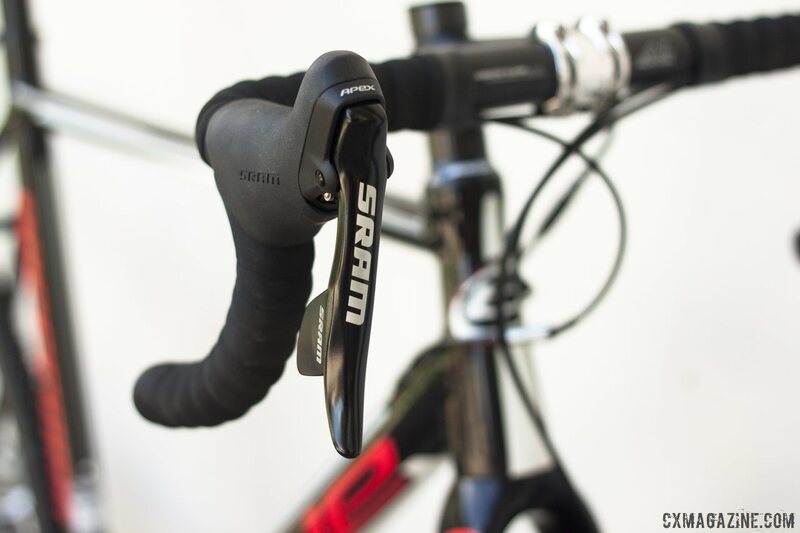 SRAM Apex components stay with 10-speeds. The first item we'd upgrade. Shift cable housing exits the down tube. Fat tires, fenders, or mud, the Norcross AL's fork is ready. Large feet beware: the chainstays can be catchy. The chainstays flare out, especially the right, possibly catching the heels of large feet with narrow stances. The Blue Norcross AL can be catchy. 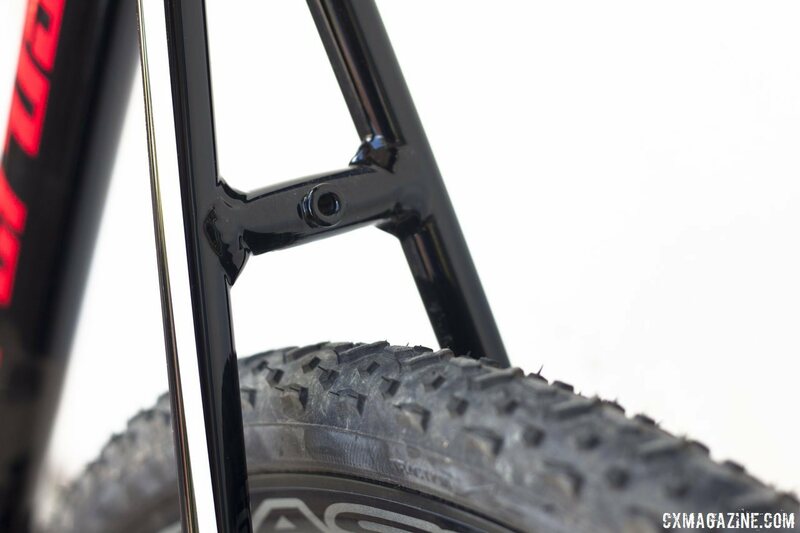 The right chainstay flares out more than the left and caught one tester's size 12 foot. The left stay has less flare but still can cause heel strike. The left wasn't as problematic but could be for size 13+ feet or really narrow stances. The Blue Norcross AL is ready for the road less traveled. 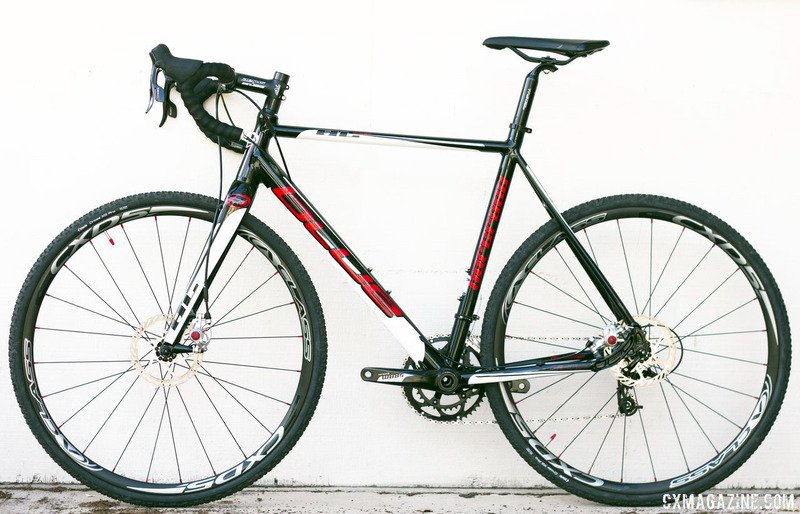 Gravel, cyclocross, commuting or path exploring, the Norcross AL is ready and affordable. Jonathan Page raced Blue through 2012. The SP had a tapered head tube, same fork as the EX model.